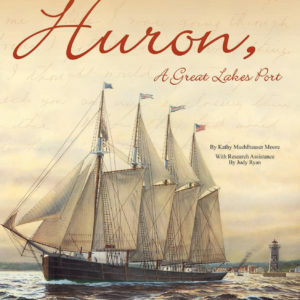 Huron Historical Society books, prints and DVDs make great gifts for friends and family. This is the first in a series of books about the history of Huron, Ohio from the 1700s to 1880. The book depicts the area’s early inhabitants, from prehistoric Indians to the white men and women who founded and settled Huron. 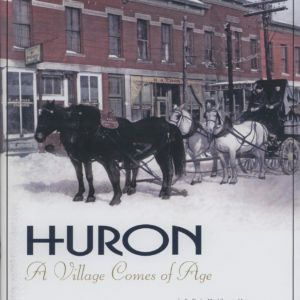 The second in a series of books about the history of Huron, Ohio from 1880 to 1929, this volume features the stories of the businesses that defined Huron and the people who lived, worked and died during these prosperous times. This color copy was produced for the Nickel Plate Road Historical Society’s convention held in Huron in 2009. 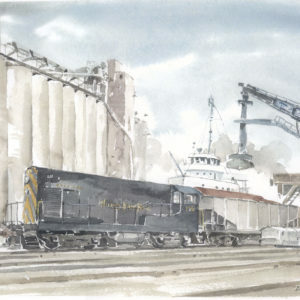 Made from a Bruce Dickens print, it features the Fairbanks-Morse “Baby Trainmaster” switcher working at the Huron Dock. This is a numbered, limited edition print sized to fit a standard 16” x 20” mat and frame. 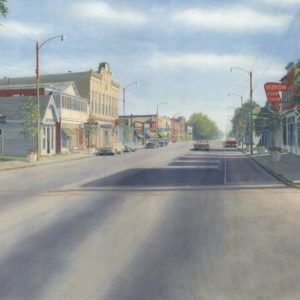 The print depicts downtown Huron before urban renewal. The 13 1/2” x 18 1/4” prints are signed and numbered by the artist. The Golden Age was built by Valentine Fries in 1883 at Fries Landing on the Huron River near Milan, Ohio and launched in Huron. 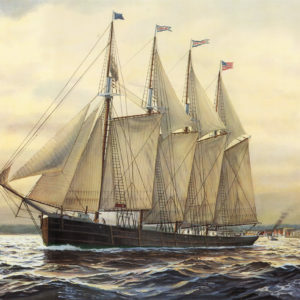 The schooner was 287 feet in length and at the time was the largest vessel built on the Great Lakes. 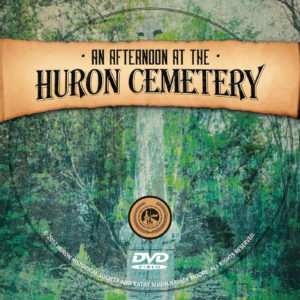 This fascinating and informative documentary tells the story of Huron’s controversial urban renewal project and the animosity it sparked between those who supported the program and those who did not. 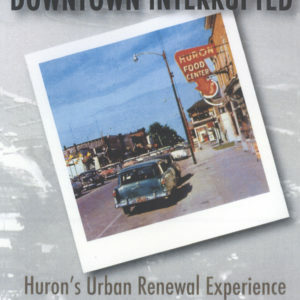 Includes extra photos of Huron during the urban renewal period. 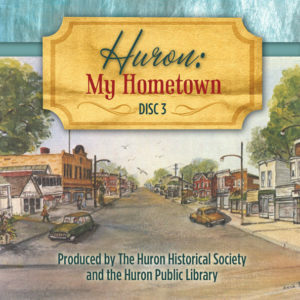 In celebration of Huron’s bicentennial in 2008 the Huron Historical Society and Huron Public Library produced a series of five DVDs featuring 19 interviews with local residents. You can learn the history of our area through the eyes of those who lived it. For over three decades, the electric interurban railway played a major part in the economic life of the Midwest. The Lake Shore Electric Railway operated routes from Cleveland to Detroit, via Avon Lake, Lorain, Vermilion, Huron, Sandusky, and Toledo. 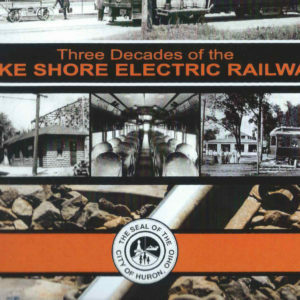 This DVD explores the era of the Lake Shore Electric in Huron. In 1882 Huron, Ohio became the Wheeling and Lake Erie Railroad’s port on Lake Erie for the shipping of iron ore and coal. 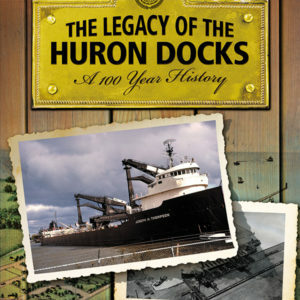 For the next 100 years the docks played an integral part in Huron’s progress and economic growth. This documentary explores the impact of the docks on Huron and its residents.